My first one had sparkly tassels. It was baby blue. The seat was white. I may have a recollection of the training wheels being removed, but I’m not quite sure. Most of us surely have memories of our first bike. With that first bike came more rules-don’t ride near cars, don’t leave it in the front yard, don’t ride further than so and so’s house, and take care of it. “Susie, I’m not buying you another if it’s stolen.” Gosh, I can still hear my mom and dad’s voice. Funny though, I don’t recall helmets being worn that many years ago. With my bike came freedom a little kid never had. I could get places faster, and this was huge, independently! Several years ago when I was searching for ways to be active regularly, I turned to running. But, I’ve longed for a bike for a while. Living near a park with miles of paved and dirt trails, there has been no better time to try cycling. 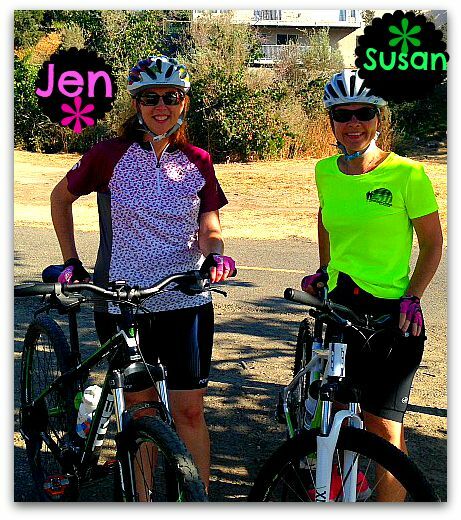 A dear friend Jen and her husband Darrel are avid cyclists. On a Friday several weeks ago, I mentioned my cycling wish. That night Darrel found the perfect bike for me. I ordered it, and yesterday Jen and Darrel trekked to another city to help me pick it up and show me the immediate necessary accessories (and ones to consider later). Darrel did special tire functions (I couldn’t tell you exactly what, but he said they are important), adjusted the seat and my helmet, made sure I could get on and off safely, then brought me home with my new white and neon green bike (no sparkly tassels). Today both of these lovely friends met me in the park for my first official ride. There are still rules, and that’s ok. I’ll definitely be able to get places faster than walking or running. I’m excited to have yet another way to be active! Variety is the spice of life, and novelty is motivating. I have more to learn about cycling, and practice will boost my confidence. And, I’m again so graciously reminded about how special and powerful friendship is in our lives. Just wondering…is there any new healthy activity you’ve thought about trying? I’ll bet you have friends willing to help, or you’re sure to meet new ones when you start. My new bike is like sunshine on two wheels! Everyday I start with the best intentions. I will drink enough water. I will be a role model for optimism. I will under react (one of my lifelines and so very important now that I’m learning all about my new students). I will make healthy food choices. Then these goals become waves because sometimes I just forget or make a different choice. My day starts and it sometimes seems I hardly stop long enough to sit down for a few minutes. Last week, I developed a new habit of trying to eat my lunch while returning emails and grading papers. I know better! No more of that! I will allow a little technology to assist me with opening my day on a peaceful note. It’s as simple as setting a 7:01 AM alarm on my phone. This is the time I arrive at work and have yet to start scurrying around. 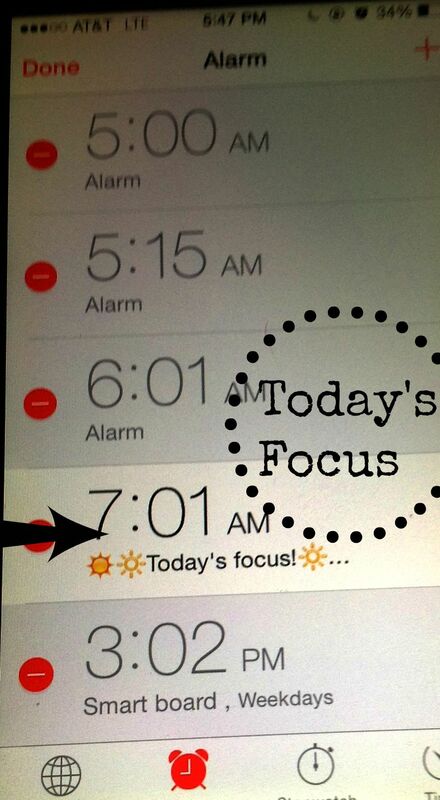 When the alarm (titled Today’s Focus) goes off, it’s my gentle reminder to sit down and peacefully consider the day’s schedule. This is the time I will focus on the basics such as under reacting, water consumption, or any other goals I want to work on for the day. I’m back at it, another way to have a restorative moment, before a busy day begins. I am considering setting another alarm for lunch time as a self check-in to reflect on the morning’s success or to regroup if necessary. How can you ensure success with your daily goals? Last week was successful in a couple of ways. I prepared my breakfast before I went to bed. I’ve been enjoying refrigerator oatmeal. Pinterest has tons of ideas. Click here. This has been a huge time saver, and it’s delicious, healthy, and so easy. Another evening ritual-decide what to wear the next day. I have enjoyed not having to stand in the closet to contemplate the day’s attire. (Someday I hope to plan for a whole week, but not there yet!). These two simple ideas gave me at least 20 extra morning minutes. And, that ‘extra’ time will help me with my “7:01 AM today’s goal” conversation. This will most likely be challenging. So, be warned! I had quite a conversation with myself this morning. It all started with the blow dryer! My hair is naturally curly and frizzy, maybe more frizzy than curly. I spend a few days each week with my straightening weapons: blow dryer, anti-frizz products, a flat iron, and a big round brush. This morning I was really (I mean really) wishing my hair was naturally straight because the straightening process is about 30 minutes. This led to further thoughts about other parts of me I’d like to change–shed a few pounds, have thinner thighs, have more self-control with desserts, develop a joy for cooking (or at least a like for it), and the list went on. I’m really working on my positivity and gratitude. So, I turned the question around. And, here’s where the challenge comes in. I pondered what I like about myself. What do I love about me? I fought the idea of this conversation for a while. My thinking went in the wrong direction, so I reeled my thoughts back in. I realized I wasn’t looking for things like this: I love the great deal I found on a new pair of shoes. Try again! It was easy to love “things” but way more of a challenge to find attributes about myself to appreciate. I decided at least ONE had to be about my actual appearance, and then I’d be more lenient with the others. There it is! It took quite a while to create the list. It’s was so much easier to come up with what I wanted to change. But, being able to write down the positive attributes felt great. Will you consider the challenge? 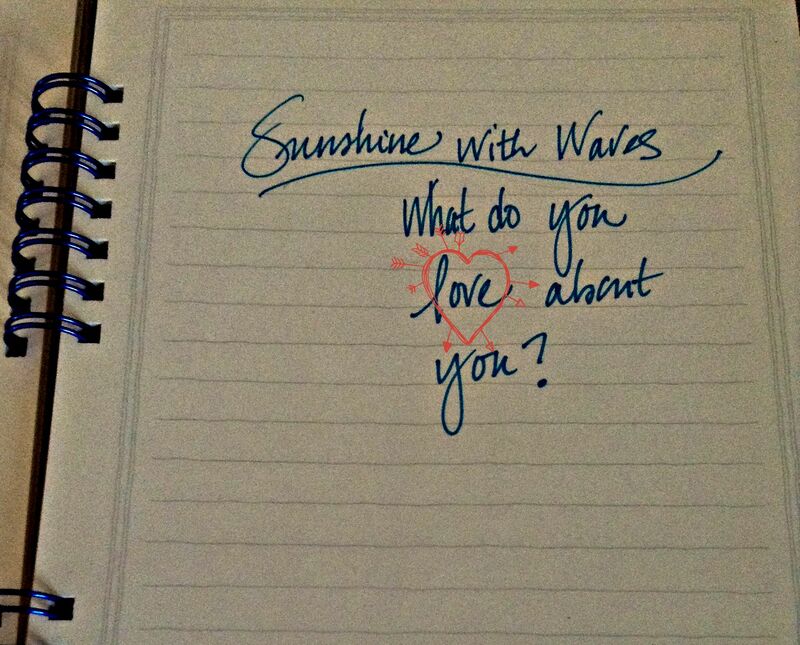 What do you love about you? How do you manage to drink enough water each day? Try as I might, I would rather drink just about any other beverage than water. I’ve tried many “tricks” over the years…water infused with herbs, fruit, vegetables, carried a huge container like an extra appendage on my body, purchased pretty bottles, even tried drinking it from wine glasses throughout the day! Each morning I fill my jars with water, put them in the fridge, and the goal is to have consumed all by the day’s end. I know humans are motivated by novelty, and this may not appeal to me next month or next year. For now, I’m riding the water- in Mason jar- wave! If you’re like me and struggle to get your daily water intake, share your tricks please. Just how much water do you need in a day? Read on only if you don’t mind a little frustration! Otherwise, go fill your ol’ Mason jars, and enjoy some nostalgia right in your fridge. 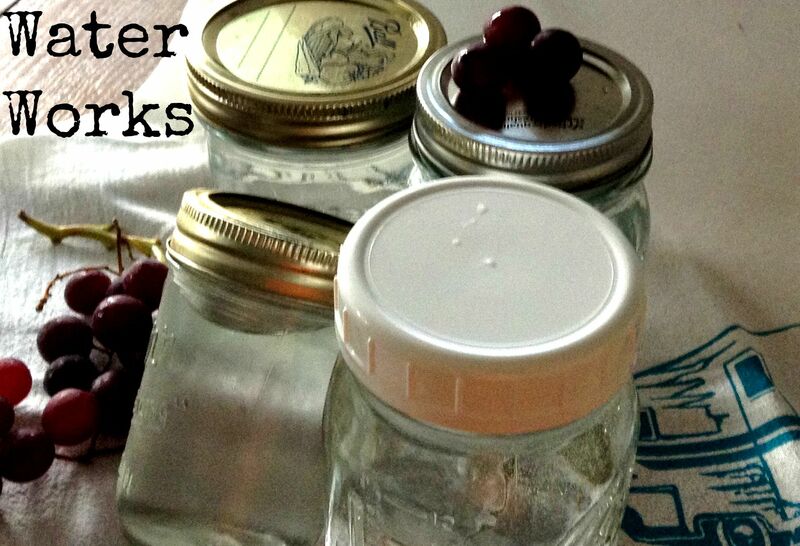 I searched numerous places to learn exactly how many ounces of water I need in my Mason jars. The research is not clear. We’ve all heard the rule of eight, eight ounce glasses of water daily. This idea from the Food & Nutrition Board of the National Academy of Sciences dates back to 1945 (70 years ago) and is easy to remember, but no research backs up the 64 ounce recommendation. There is no one-size-fits all for adequate water intake. It gets really complicated, and the more I read, I realized this-I feel better when I drink enough water. My body needs it, and I’ll sip water all day long, from my jars of course. Water works! I am putting the complication aside. If you need specific water intake numbers, it seems your doctor or a registered dietician can help. I didn’t mean to compound the water situation! As I prepare to write today, it just occurred to me that this story follows my chicken in a Crock Pot post! Have you tried the recipe yet? And speaking of whole chickens, I recently learned that Costco’s rotisserie chickens have their own FaceBook page. Sure enough, I verified it, and they have 6078 followers! These two back to back chicken posts are totally unrelated, I promise. My timing is not perfect, I know. Every living item has its purpose. I’m just going to leave it at that for now. Moving on! As I bid another summer vacation farewell and get ready for 30 new sixth grade recruits, my mind seems to be holding onto some of my recent restorative moments. We all need a way to transport ourselves to a place or time where we were relaxed, unhurried, peaceful, and calm. These restorative moments may be a quick 20 second break during a hectic morning, or maybe an hour at the end of a long day (what a luxury). I have several “videos” in my head of some recent restorative moments, and I plan to take myself back mentally when I need to regroup. They are quick ones and are ready to be called up at a moments notice! 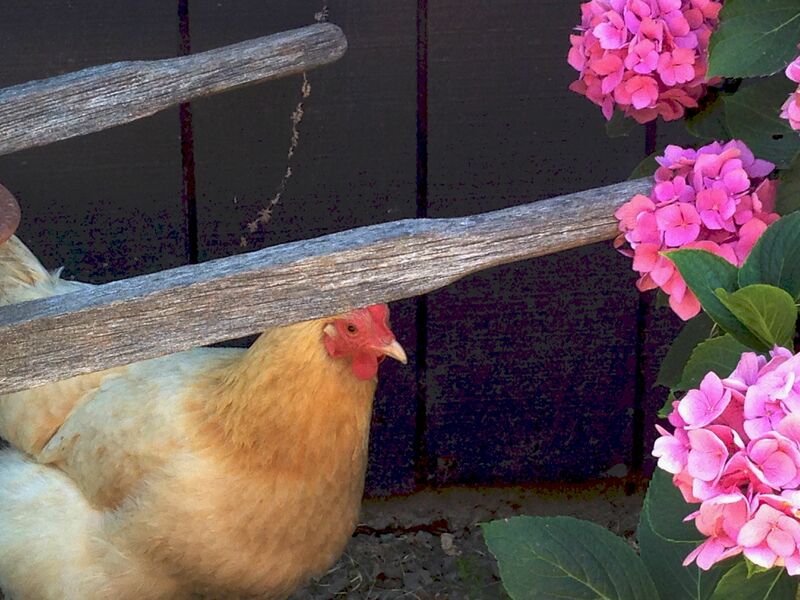 The chicken in this photo is one of five I met at a little cottage near Pt. Reyes. The cottage keepers left a tub of food out for guests and encouraged us to feed the chickens. I’m a city girl and don’t know the first piece of information about chickens, hens, roosters, etc. I do know when I lifted the lid on the chicken feed, these guys came running. They had such personalities, and it was such fun being entertained by them. I have other restorative moments, and somehow they seem to revolve around some other feathered friends. I feed the hummingbirds and finches in the backyard. It’s such a joy to watch the feeding frenzy. Sometimes they don’t stay long, but watching them is always a quick restorative moment. My goal for myself and my hope for you is to have some of these simple restorative moments in mind and to be able to quickly be transported to one of them, even if just momentarily, throughout your day. Do you have any of your own restorative moments to share? Here’s to moments of simply being during the midst of our busy days. I’ll admit it. I LOVE Pinterest. I LOVE to eat. I don’t enjoy cooking, so why do I meander through Pinterest recipes? A friend pinned a simple slow cooker chicken recipe. What could be healthier than chicken with just a few seasonings? And, what could be easier than using the Crock Pot? (Useless info: I learned that Crock Pot is a brand name, and slow cooker is the generic term.) Note: I have never been fond of meat from a slow cooker. It seems to take on a texture that doesn’t appeal to me. I was skeptical, but the ease pulled me right in! Here goes: 1. Remove skin from a whole fryer. 2. Rub with salt and pepper. 3. Put in the slow cooker for 3 1/2 – 4 hours on low. Done! Delicious! I would love to give credit to the creator of this recipe, but I couldn’t begin to find him or her. You can experiment with other spices and/or add some carrots and potatoes. Lately we eat it right from the slow cooker with a delicious salad. My friend, Clair, used chicken prepared this way for enchiladas and enjoyed it too. The possibilities are endless, but the time it takes for a healthy meal is nothing at all! Freeze the extras if there are any. I won’t get carried away with recipes at Sunshine with Waves, but this is so easy (even I can successfully do it) nutritious, and delicious, I just had to share. It’s a little sunshine in a slow cooker! With each passing year and story after story about people whose health is declining, activities and food for health and nutrition have to be a lifestyle. In bygone years this would have been a lot about appearance, what size I can shop on the clothing rack, the number on the scale, and whether the jeans I bought two years ago still fit. I wouldn’t be truthful if I said these are of NO importance in my life, but I would be positively honest when I say they are NO longer the driving force. I started this blog primarily to discuss the sunshine and waves I experience with regard to being healthy- and having balance with mind, body, and soul. The sunshine represents those moments, days, or weeks when I’m on a roll in these areas. (Weeks is a stretch!) I enjoy sedentary activities and decadent desserts! Given a choice between waking up on Sunday morning and relaxing with a book and a cup of French roast or lacing up my running shoes, the couch and coffee would win. Sometimes I’d rather skip a session at the gym in favor of scrolling through Pinterest. This summer I started a list of activities I enjoy that require being healthy. My Irish vacation was filled with climbing stairs, lots of walking (often on uneven surfaces-think cobble stones and rocky beaches), lugging suitcases up down, and all around. Restrooms were often in the basement where the only route is through a narrow/steep staircase. Walking through castles and strolling on the coast, sometimes the same scenario. Aside from this vacation, camping required lifting our gear up and down into the trailer. And a trip to a beautiful lighthouse near Pt. Reyes required an up hill climb. Carrying laundry baskets, groceries, and working in the yard made the list too. And, while I’m in a unique relationship with running (I enjoy it. I despise it. ), I want to have what it takes to do it. I often struggle with fitness-exercise and eating. My main goal is to have more healthy days than not. This applies to both food and exercise. I have days of sunshine and days filled with waves. I don’t berate myself (too badly) for poor choices, and somehow manage to get myself back on the successful track. Fitness and health is so much about living the life you have in mind for yourself and doing the activities you want to do or hope to do in your future. I want to continue traveling, enjoying camping trips, running with fabulous friends, and household chores are inevitable. These require energy and strength. I want to be fit to ……… ! You get to fill in the blank. And, you get to decide how to make it happen! It’s a journey, and we’re in for for a lifetime.